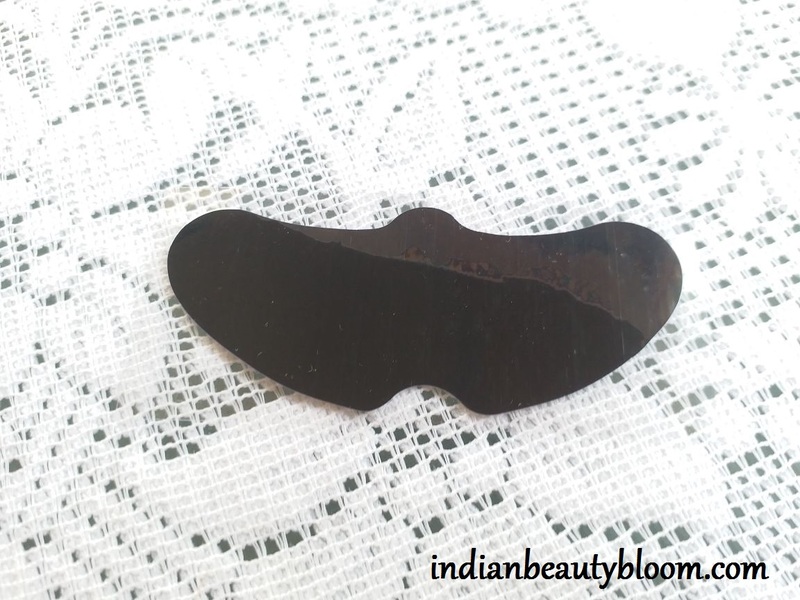 This is a Guest Post by Sravanya G , Blogger and owner of Hyderabad Beauty Blog . One can connect with her on Facebook & Instagram . Bamboo charcoal nose mask comes in a sachet form which is medium in size. The product information is given in back side of sachet but it’s in Chinese language so difficult to understand. Inside the pack there is a black colored nose mask , which comes in form of nose shape. The best part about the nose mask is that it is quite comfortable on your nose. 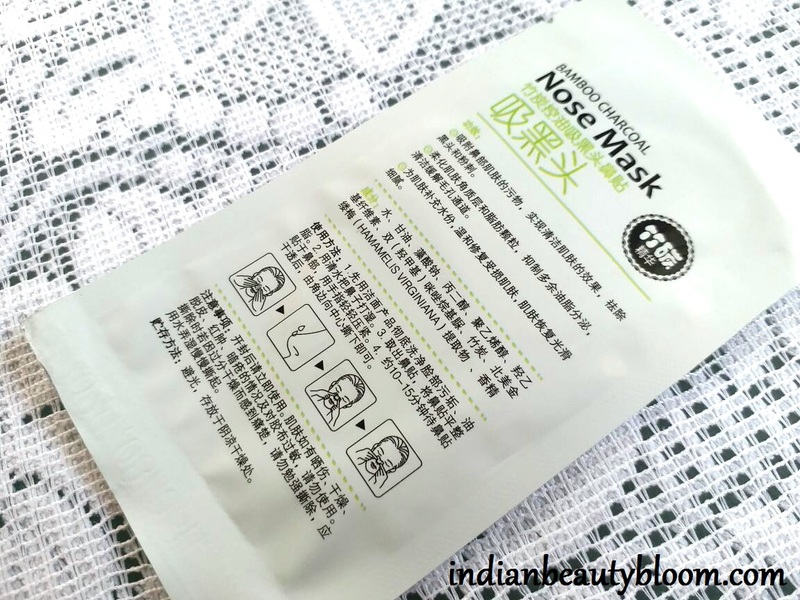 The nose mask fits exactly on your nose and helps in removing blackheads & whiteheads both. It does a good job in removing blackheads & whiteheads from your nose. It needs to be sticked to your wet nose and then you need to leave it for 8-10 minutes and then the mask needs to be removed . 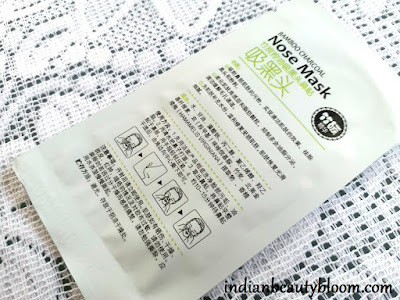 Just lightly hold the end part of nose mask and it will get removed easily. Post removal of the nose mask you will realise that your nose area is not dry which happens with most of the nose mask. It keeps the skin soft and moisturized , so it is good for dry skin also apart from normal & oily skin. 2. 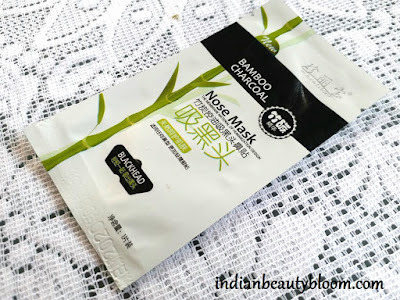 Comes with goodness of charcoal mask . 3. Good for all skin type , effective on dry skin also. 4. Effective in removing blackheads & whiteheads. Product details written in Chinese Language so difficult to understand. Would I recommend this product to others ? 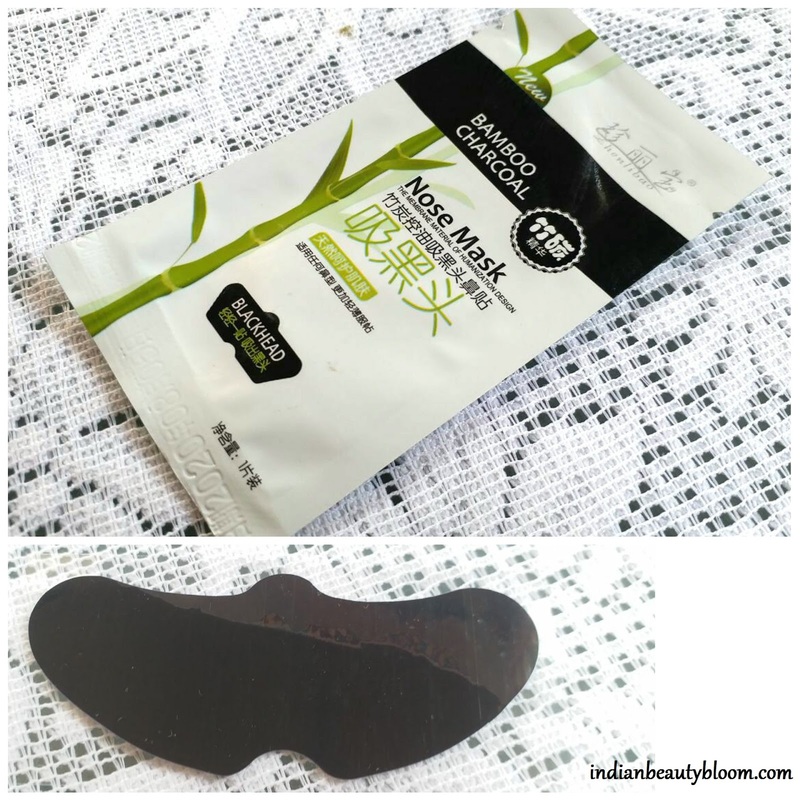 Yes , for beginners this nose mask is perfect .